As the commitment, Xinxiang Yulong Textile Co., Ltd. always provides superior products and services in specific time. Except the related products services we should provide, the scope of serving clients also are some services of unrelated products. This attitude makes Yulong Textile earning trust of clients. 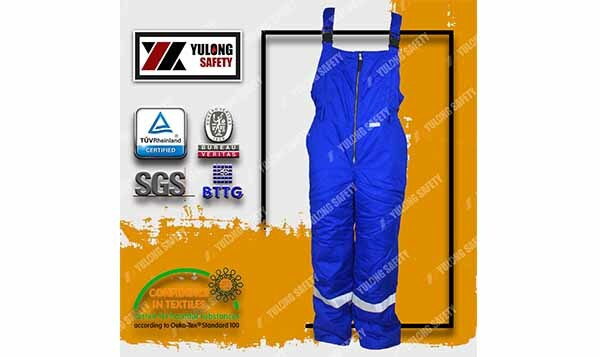 Just after the National Day in October, we got such a reorder from a client who always buy winter FR overalls and he have been cooperated with us for three years. Through several reorders we have continuously improved our service attitude and products quality. After communicated with client and knew his demand, this client paid for this order in a short time and it is a great achievement to our company. We are very strict with our products, holding accurate situation to product market, and providing good services to clients. So, our efforts make every piece of works through time to accumulate regular clients and develop new clients.